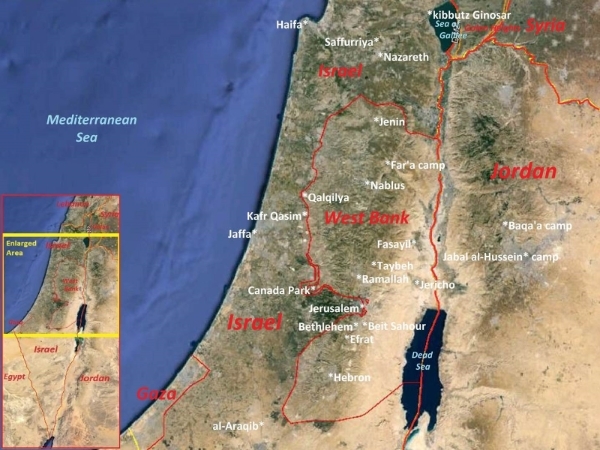 On this map you can see many of the places I just visited during a 3 week tour to Israel/Palestine: Tel Aviv/Jaffa, Jerusalem, Bethlehem, Nazareth, Hebron, the destroyed bedouin village of al-Araqib, and Canada Park, (itself built on top of 3 Palestinian villages destroyed in 1967). Together with 7 other curious Canadians on a “come and see tour”, I met with 27 Israeli and Palestinian NGO’s, as well as international organizations. We visited the Knesset and various historical sites. And we also got to talk to many individual Palestinians and Israelis. We saw a lot, heard a lot and learned a lot. But sometimes its instructive to reflect on what you didn’t see or hear. Here are 10 significant things we did not see or hear, while we were there. Posted in Conflict, Discrimination on November 27, 2014 by Peter Larson. Why is this young Jewish man opposed to the Jewish National Fund of Canada?